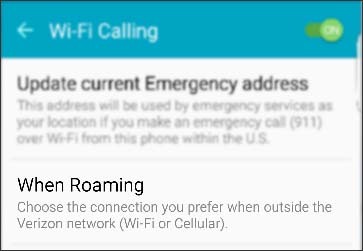 Wi-Fi calls always originate in the US, even when you're outside of the US. If unavailable, navigate: Apps icon > Settings > More > Advanced Calling. For Oreo OS, navigate: Apps icon > Settings > Network & Internet > Mobile network > Advanced > Advanced Calling. For Samsung devices, navigate: Apps > Settings > Connections. 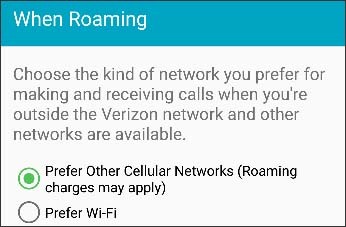 For Oreo OS, tap Roaming Preference then choose Wi-Fi or Mobile and begin using your choice.